This 100% cotton Tee features the flag illustrated on the cover of the CD. The original painting is by Darryl Vance. 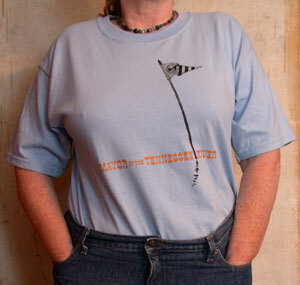 Pale blue tee with black flag and orange lettering.